Charlotte Brontë's 1847 masterpiece, Jane Eyre, is perhaps the ultimate romantic novel. Young Jane Eyre was orphaned and sent to live with her uncle, who dies shortly after her arrival. Her step-aunt despises her and sends her to Lowood School so that she can become a governess. She wins the friendship of everyone there, but her life is difficult because conditions are poor at the school. Not until typhus kills many of the students do conditions improve. 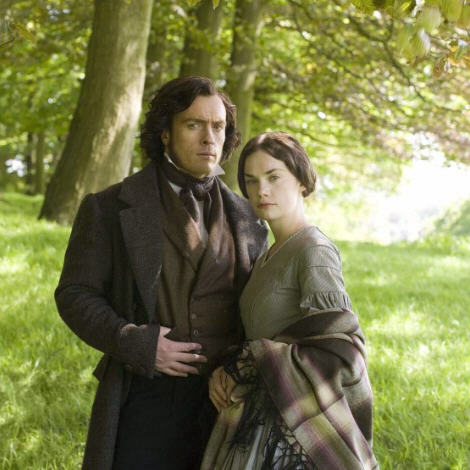 Jane completes her education there and obtains a position as governess at a house called Thornfield. Jane’s student is Adele Varens, a petulant but loving ward of the master of the house, Edward Rochester (and possibly his illegitimate child). Rochester is rarely at home and Jane spends most of her time with Adele and the housekeeper, Mrs. Fairfax. When Rochester does come home, he is often moody and imposing. One night, Jane wakes to strange noises and the smell of smoke. She finds Rochester unconscious in his bed, which is on fire. Other odd things happen in the house: Jane often hears strange laughter and thuds. Jane has meanwhile realized that she loves Rochester but in her pride refuses to confess it. When Rochester invites a group of friends to the house, including Blanche Ingram whom he is expected to marry, Jane is treated like a servant by the guests. One of the guests, Mr. Mason, is mysteriously injured. Jane is also troubled when her former guardian, Mrs. Reed, calls her to her death bed and admits that several years earlier she had received a letter from one of Jane’s distant relatives, John Eyre, a wealthy man who lives in Madeira. 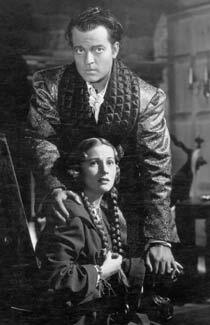 Mr. Eyre had offered to adopt Jane, but Mrs. Reed maliciously told him that Jane had died in the typhus epidemic. When Jane returns from this visit, Rochester asks her to marry him and Jane joyfully assents. Two nights before their wedding, she wakes to find someone in her room, wearing her wedding veil. She faints in fear, but Rochester convinces her it is her imagination. At the wedding, a man interrupts the service, saying Rochester is already married. Rochester admits it and takes the wedding party to the attic. His wife is a Creole, Bertha Mason, who went mad immediately after their wedding fifteen years before. Now she is imprisoned in the attic. Jane decides she must run away. Penniless, she becomes a beggar until Reverend St. John Rivers and his two sisters generously take her in. She lives with them under an assumed name, and it is only by accident that she learns simultaneously that John Eyre has died and left her his fortune and that the Rivers are her cousins. They share the fortune. Rivers presses her to marry him and join him as a missionary. He admits that he does not love her, but he thinks Jane smart and useful. Jane feels she must do her duty, but she does not want to marry Rivers. One night, Jane hears Rochester’s voice calling to her. She returns to Thornfield and finds the house burned to the ground. Bertha had set fire to it and Rochester became blinded in his unsuccessful attempt to save her life. Jane and Rochester marry. It is intimated that Rivers will die gloriously for his cause.